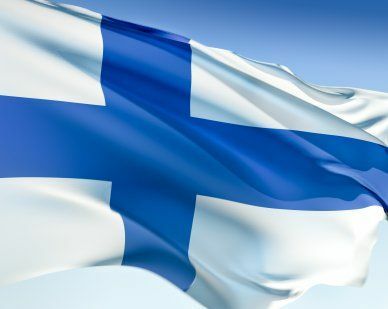 The design used for the Finland flag was originally used by a yacht club in Helsinki in 1861. The flag features a white background with a blue cross offset to the left. The Yacht club used a coat of arms in the center of the cross. In 1917, when Finland gained its independence, the flag became a point of discussion. In 1978, the flag became the nation’s official flag. Our top-quality Finland flags conform to all official specifications. Emblems and designs are executed with the highest possible degree of accuracy in regard to detail, color shades, placement and proportion to flag size.